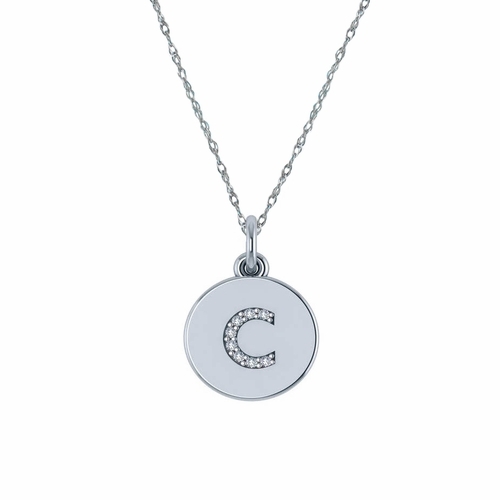 Our Mini Vanity Tag Cubic Zirconia Initial Lower Case Monogram Circular Disc Pendant is custom, personal, special and fun. The personalized Mini Vanity Tag Necklace is a simple circular disc pendant that displays your favorite initial that is pave set and encrusted with the finest diamond look Russian formula cubic zirconia. Whether it's your first name initial or your last name initial or the initial of a loved one or child, you are sure to display it proudly with this delightful necklace. Wear several on the same chain or layered with multiple chain lengths. 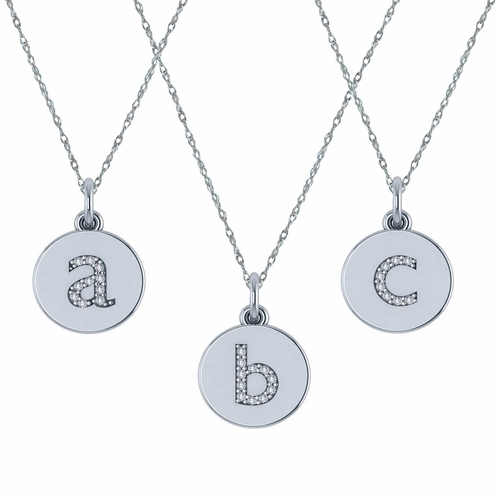 Our diamond quality pave set Mini Vanity Tag Initial Monogram Pendant measures approximately 10mm in diameter and comes standard with a 16 inch fine rope chain. Shorter and longer chains available via special order. Each Mini Vanity Tag Initial Monogram Pendant is custom made and hand set. 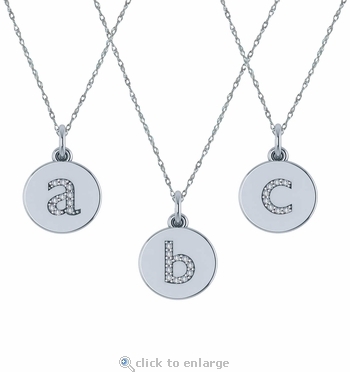 Available in your choice of 14k yellow gold, 14k white gold, 18k yellow gold and 18k white gold, see the menu options for details. 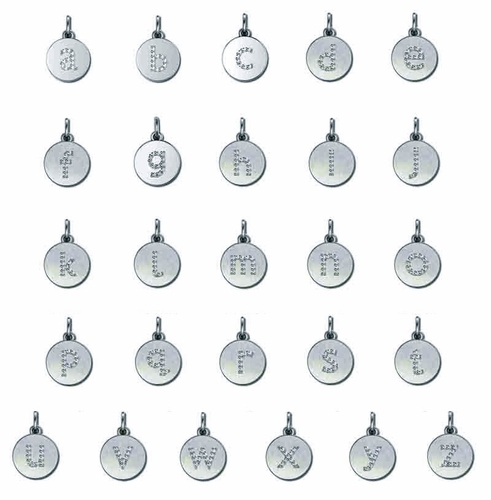 A larger 15mm version is also available, please see item P1092. For further assistance, please call us directly at 1-866-942-6663, option 2 or visit us via live chat and speak with a knowledgeable representative.